melbourne has some great, big ol' vintage signs. 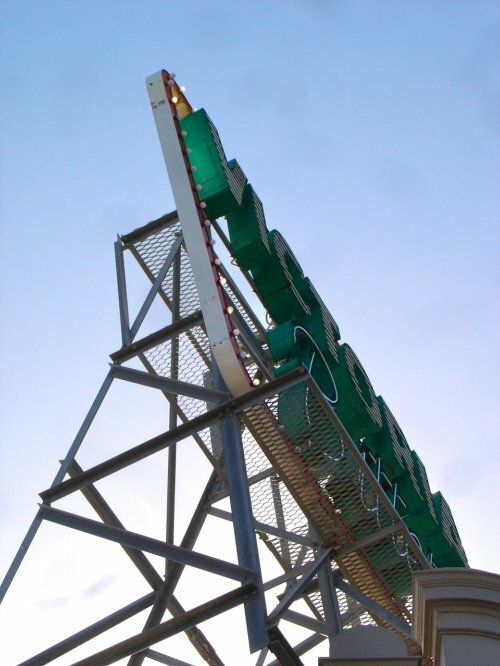 big, steel structures on top of strategic roof tops. 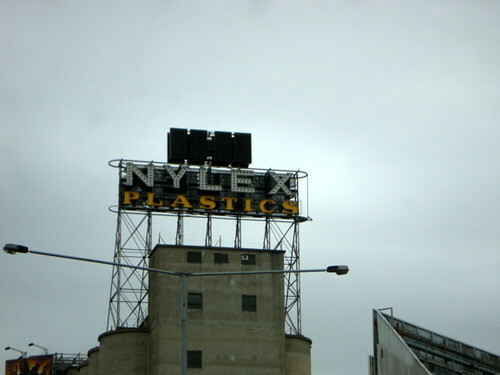 the skipping girl is probably the most beloved, but the nylex sign in richmond is my favourite for 2 reasons. one.. charlie used to live in an amazing apartment in south yarra that had huge steel framed windows that looked straight out over the river at the nylex sign. what's the time? umm.. look out the window! it makes me remember a fun new year's eve party we had there years ago every time i drive past on the freeway and two.. the husband & i fell in love with a painting of the nylex sign with a light bulb hanging in the foreground by the amazing australian artist sally joubert, but it had sadly, already sold. iconic.